Welcome to another ten types of players in Fortnite! This is another list of all sorts of player types in Fortnite. This player has two absolute favourite parts of the match. The beginning, when everyone is in the lobby and they can show off their expensive emotes to their friends. And the very end winning a victory royale, when they can dance and emote, and ride that wave of victory. Oh and they also might insist on emoting after every kill, on top of dead bodies, on top of buildings, out in the open. And randomly somewhere on a hill or in the middle of the countryside. Or just through the whole match. They love emotes, and really know how to celebrate that. And to be honest, this game’s got some pretty freakin awesome emotes. Even if you’re no good at the game, I’m sure you can still have heaps of fun dancing in the lobby screen. Well, this one is kinda obvious. Fortnite’s most recent player count revealed that there are over 45million people who have played Fortnite! Which is incredible, but which also means there are a whole lot of noobs out there. A lot of noobs. You’ll see them, in every match, running around, getting themselves killed, revealing their squad’s location with unnecessary gunfire, getting their squad killed. But be nice to them. We all know you’re trying. Keep at it guys, we’re all rooting for ya! And just remember everyone, unless somehow you’ve always been super talented at games ever since you first picked up a controller or put your hands on a mouse and keyboard, once upon a time, we were all noobs. Each and every one of us. Yes, that’s right. I just called you a noob. Na it’s fine I’m sure you’re a pro. Keep smashing out those victory royales yeah. You doing great. These players love to play it dangerously. The Outsider plays right on the edge of the map, always right on the edge of the storm, picking off enemies running desperately trying to escape the storm. They love to live on the edge, and love taking advantage of players already hurting from being stuck in the storm. They clean up the stragglers. Until, they get too carried away going for that one extra kill, leaving it too late to run, and become the very thing they swore to destroy, the stragglers running for their lives from the merciless storm. Whoops! You could compare these players to real life storm chasers, people who like chasing storms and tornadoes, usually for research purposes. The difference is, Fortnite players probably aren’t doing research. They just like picking off easy kills. And maybe they like rainy days. There’s one word these players unfortunately hear a little too often. RUN! This is the player who never pays enough attention to the mini map and gets killed by the storm. They’re usually too preoccupied, caught up looting for some extra gear, or stalking an enemy to realise they are about to get swallowed in the dark blue terror of the storm. And even if they do escape, they will emerge on the other side with so little health that their life expectancy will likely be reduced to a mere few seconds. How foolish. These guys really need to learn how to manage their time a little better. Buy a watch maybe, or even just check the counter on screen. You know. That would help. Life or death situation here guys. Storm’s coming Ani. I’m going to be honest and blunt with this one. These players, don’t know how to play Fortnite. They enjoy playing duos or squads, and tag-along with their team, trying to follow and replicate each and every move their squad makes, picking up leftover second grade loot, and not really contributing anything to the game. They’re usually still in that learning stage of playing Fortnite. Which is fine, as long as they evolve out of it. Otherwise, you know, they’re just, noobs. The Tag Along tags along to everything their team mates their doing. Notice that extra shadow you developed today that wasn’t there yesterday? It’s probably just a tag along players trying to get them self carried to victory. Don’t worry though, just use them as a body shield when things start to go down. They won’t mind. These players aspire to be like their YouTube idols. They see videos of people on YouTube making amazing long distance snipes, then jump in game themselves and try replicate that. But unfortunately, unless they practice a heck of a lot, or somehow become one with the Fortnite and the Fortnite is with me, their aim isn’t all that good. They are the players who will stupidly shoot at anyone from any range and with any weapon – repeatedly giving away their squad’s position. They’ve also been known to accidentally discharge their weapon when trying to active a med kit or slurp juice, or is that just me. I may or may not have done this before. It… it’s fine. Have you ever wanted to build a staircase so high that it reaches the absolute top of the map? Just think of the vantage point you’ll have from up there. It will be amazing! I’m going to start building right now. I can’t wait to be on top of the world! Ok, these players dream of building the stairway to heaven, that construction that takes them all the way to the top of the map, the world, and their first ever victory royale! But, while they’re fantasising about their future glory, the fact that you need to actually collect materials to build might have accidentally slipped their mind. They usually run out of resources mid build, and, tragically, fall to their deaths. The dreams crushed, or splattered? You know, because they’ll hit the ground. Maybe they just don’t like cutting trees and really care about the health of the Fortnite environment. 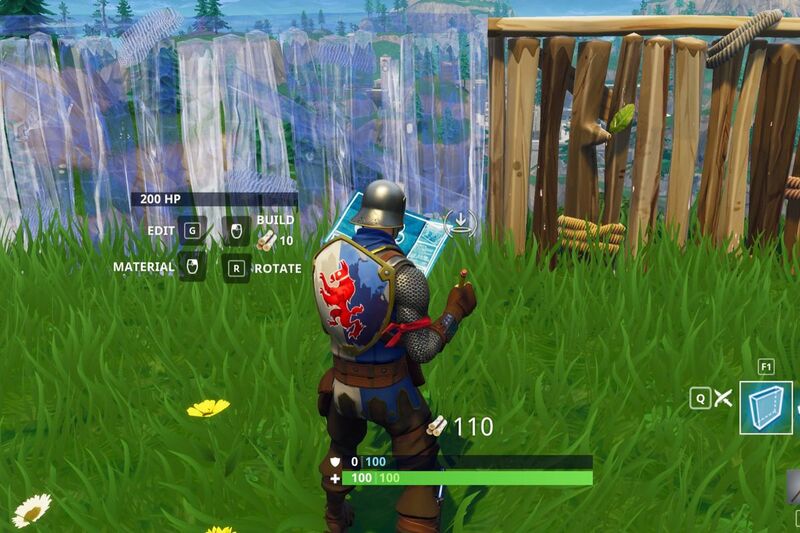 Join the Fortnite environmental activists group today and stop the degradation of Fortnite’s forests! I think there are lots of people who try to play games really well, but only a limited percentage of people who actually do. Let’s be honest with each other. Video games are damn hard unless you spend all day playing and practicing, and even then I was never all that great. Anyway, the bad strategist is the player who tries to organise their squad, gets everyone together and focussed on a shared objective, but always makes the wrong decisions. They might land at the wrong location, they might try take out a squad with insufficient firearms. They might take the low ground instead of the high ground. They might underestimate their power. They try, but unfortunately, lead their squad to their demise. Maybe they should just try landing at Tilted Towers, and, we can work it out from there. Don’t worry, anyone who’s any good knows that this small patch of land here is where it’s really at. Please, if you’re going to go and get yourself in a crossfire you know you’re outmatched in, don’t go shouting ‘RES ME’ immediately after while your team mates try clean up your mess. Please have the courtesy to at least wait until the smarter players on your team know it’s safe to come and revive you. Just a little Fortnite PSA. Mr Res Me is the type of player who annoyingly goes and gets themselves killed out in the open, always thinking they know what they’re doing when they really have absolutely no idea. You’re not a pro, sorry. Anyway, then they start spamming their microphone asking for a revive or medic or res or whatever term they can think of as they panickingly begin to realise they aren’t the beast pro Fortnite player they thought they were. Just, just wait, ok. We’ll be there in a minute to res you if we survive the incoming onslaught of players who just realised where we were hiding due to your recklessness. 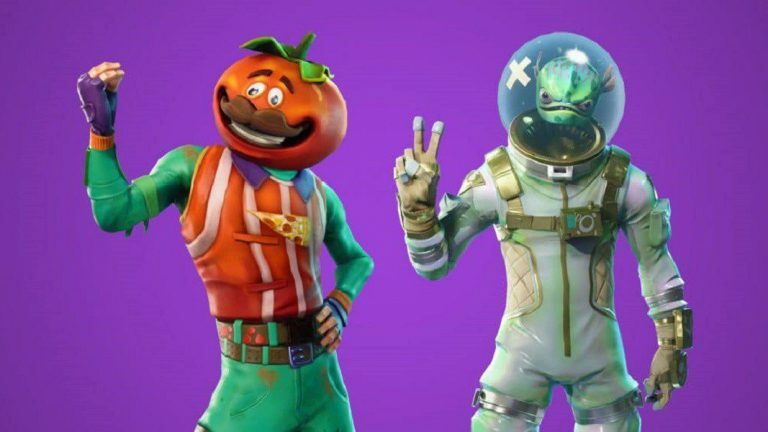 These are the fidgety players who can’t wait for the match to start, and spam their pick-axe in the pre game lobby, waiting for the day they’ll finally be able to down an enemy just by swinging from left to right. Maybe you’ll make a friend through your mutual pick-axe spamming, only to realise in a matter of seconds you will become mortal enemies once the round starts. Maybe you’ll make a whole group of friends who share your love of crazily flailing their pick axe about. Only to realise you’re actually making more enemies who are going to come hunting for you mid match. Maybe then, mid match, you could all try take each other out with your pick-axe. What a game mode that would be! There we go! There’s 10 more players. Hope you enjoyed! 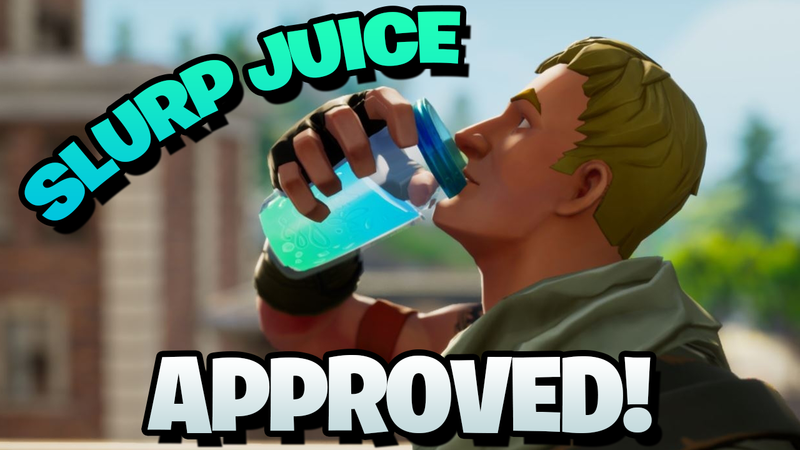 Shoutouts to our sponsor Slurp Juice!